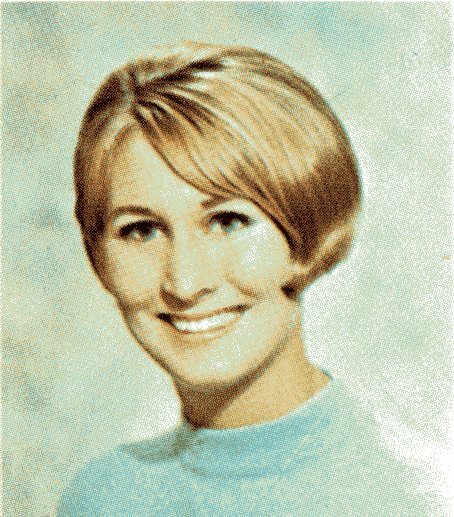 Add Teri Hill Clark to our list of long-time lovers in the Class of 1968. She and her husband, Jerry W. Clark (BHS’67) will celebrate their 47th “going steady” anniversary on October 21st, and have been married for 43 years! 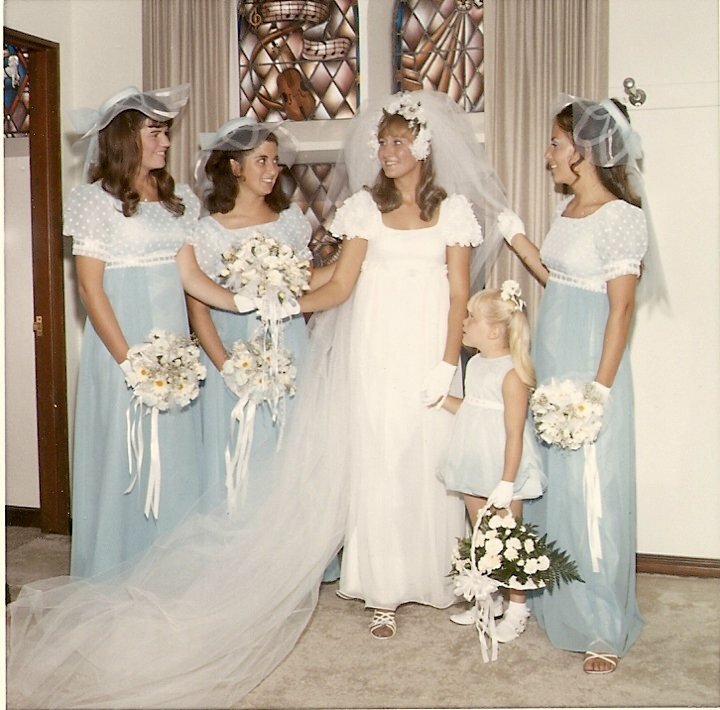 Three Class of 1968 bridesmaids! 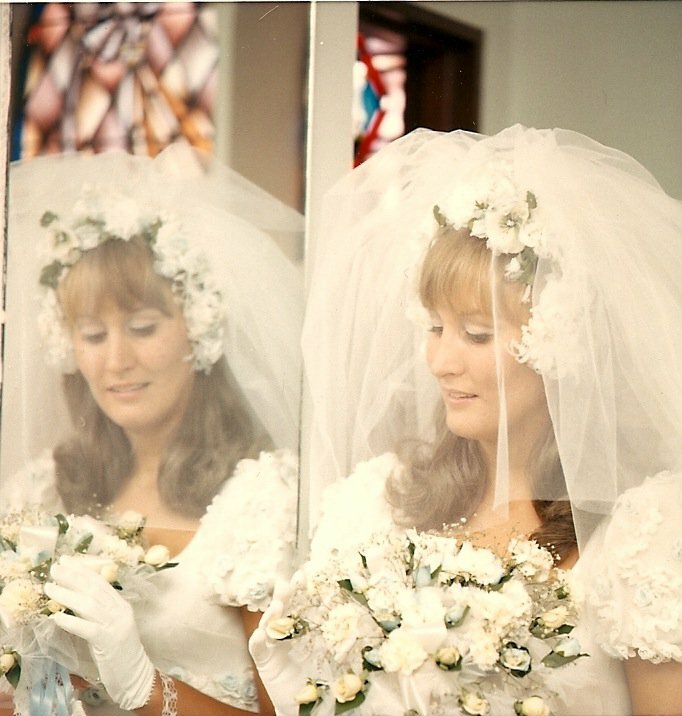 Her wedding was at St. Mark’s in Glendale, and three of the bridesmaids were all in the Class of 1968: Patti Trisha Molloy, Nancy Frisch and Teri McComas. She and husband, Jerry, moved to Lake Tahoe in 1974 when Jerry was recruited by a dental lab in the area. Three and a half years later they moved down the hill into Carson Valley, Nevada and raised two sons. Teri has had several careers — she was a preschool teacher with Burbank Unified School District at Washington Elementary School. She also formed a parent co-op preschool while her sons were very young. She was also a substitute teacher then a special education teacher for the Emotional Behavioral Specialist and School Psychologists. She spent many years in kindergarten and then in the autism program with the Carson City School District. Life has its ups and downs, and for Teri it has been no different. When her youngest son, Nicholas, died as an adult from methamphetamine, it was too difficult for her to be around the school environment. She moved on to working with various non-profits in the field of prevention and was the Douglas County Substance Abuse Coordinator until the meth grant ended. She currently works as a Case Manager in the Felony DUI Diversion Program at Douglas County Department of Alternative Sentencing and a volunteer guest speaker on the topic, “Understanding, not Excusing, Addiction and the Ripple Effect of Decisions: A Mom’s Story of Methamphetamine.” She continues to speak throughout her community, particularly to 9th grade health classes about the effects of addiction. She would have loved to have joined us for our 45th class reunion but unfortunately husband Jerry has been diagnosed with stage III-B colon cancer. Her oldest son is a detective representing the Northern Nevada Regional Gang Unit. He also tells the story of his brother’s fall to meth in an effort to get kids away from the area gangs. She has no grandchildren but says, “I have them vicariously through my sons’ friends on Facebook. Teri, thank you so much for sharing. You have our admiration for being such a strong woman. Posted by Katherine Crosier on October 21, 2013 in Burbank High School and tagged drug addiction, Jerry W. Clark, Nancy Frisch, Patti Trisha Molloy, substance abuse, Teri Hill, Teri Hill Clark, Teri McComas. 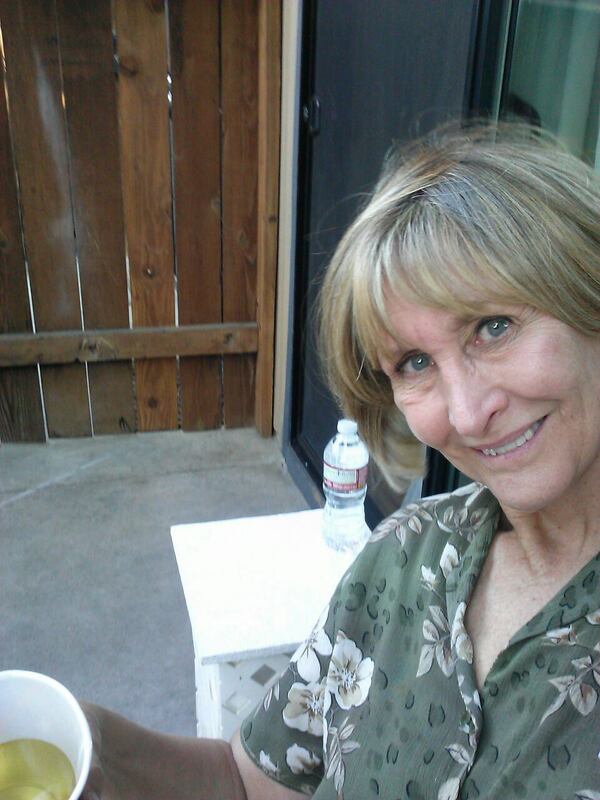 My heart goes out to Terri, didn’t know her husband was ill…prayers for healing coming her way. My husband and I were fortunate to get to visit with them in Gardenerville NV many years ago and see their lovely home there. High school memories include remembering Terri as a rank leader for our drill team, I was in her rank and remember well the fun times we had in drill team, before and after football games and her budding romance with Jerry. Who would have thought their marriage would last all these years? Goes to show you that high school romances are more than just that!! Blessings to Terri and her family.